2012 Rules & Regulations for Officials & Licensed Drivers. 1. INTRODUCTION SPEDEWORTH (herein referred to as “Spedeworth” and/or “the promoter”) have, for many seasons, promoted Car Racing at a number of Stadiums throughout Britain and in 1962 found it necessary to form a controlling authority with stringent rules and regulations and that controlling authority reserves the right to be the final arbiter in all matters. As in all sports, for the protection of the Promoters, presiding officials and the drivers these Rules and Regulations shall govern the outcome in relation to matters arising, in any manner whatsoever, in connection with the said sport. For these purposes the term “meeting” shall mean an event or events held under the auspices of the said sport. The following rules and regulations shall take effect immediately upon the signing of a Contract between and individual and/or individuals (for the purposes of these rules and regulations the term “individual” shall mean a person of either gender and references to “he” throughout these rules and regulations shall be deemed to mean either gender) and Spedeworth, or an affiliated organisation and they supersede all previous rules & regulations. Car construction Rules & Regulations are laid down by the particular controlling body for each specific formula. 2. LOYAL OBSERVANCE OF THESE RULES & REGULATIONS Persons licensed or authorised to participate in, or officiate at, any meeting governed by these rules and regulations shall not: 1. Assist or collude with any individual, or organisation, in any way connected with the said sport, that does not comply with and/or conform to the rules and regulations as laid down, to participate in or contribute to the sport in any way. Nor shall he: 2. Belong to, lend his name to or be an officer of any such body of persons not complying and conforming to these rules and regulations. Any licenses or authorised persons, within the terms of these rules and regulations found guilty of a breach of these rules and regulations; shall become liable to the penalties herein defined. 3. ALTERATIONS TO RULES & REGULATIONS Spedeworth, the NHRPA, ORC International or the Spedeworth Disciplinary Committee each have the right to modify, alter, amend or add to any of the rules and regulations contained herein. In such an event, drivers and officials will be notified immediately whether verbally (if possible, or in writing or in the form of an addendum to this Rule Book or a news item on the Spedeworth website. 2012 ORCi Rules of Racing are Written within this Rules & Regulations Book CHANGES ARE MARKED IN BOLD & ITALIC WORDING. 4. DEFINITIONS (IN ALPHABETICAL ORDER) 4.1 CHAMPIONSHIP MEETING – A meeting or meetings, involving a contest between a driver or drivers designed to find the driver who may be officially declared the champion. 4.2 CLUTCH START – At all clutch starts the Starter shall satisfy himself that all drivers are ready on the Yellow Flag and are in a position where they can see the Start signal before dropping the Green Flag. Any driver moving before the green flag drops will be liable to immediate exclusion. 4.3 Board of Control (BOC) formerly known as Spedeworth Disciplinary Committee – A disciplinary committee consists of a minimum of 5 (five) Senior Race Officials and/or nominated drivers, as elected by Spedeworth. In cases of dispute defer to the BOC do not indulge in “pit parliaments”. 4.4 DRIVER – The person licensed by Spedeworth, or an affiliated organisation, to drive a racing car at meetings. NB: It is a drivers’ responsibility to ensure he fully understands all the Marshals’ signalling before racing. 4.5 FINAL – Usually the last race, executed over a specified number of laps of the track undertaken by the qualifiers from a series of heats completed during any one meeting. 4.6 MECHANIC – A person licensed to enter the pit area for the purpose of repairing or maintaining his drivers’ car. Drivers in certain formulas may have a maximum of two mechanics. Mechanics under the age of 16 may not drive the car at any time during the course of a meeting, either on or off the track (with the exception of Ministox drivers when racing). 4.7 MEETING OR RACE MEETING – The term “meeting” shall mean a competition, or congregation of competitors or an exhibition of Car Racing. A meeting shall be deemed to have commenced half an hour prior to the advertised time of starting and finished half an hour following the end of the last race. A meeting is deemed to have been ABANDONED when it is not completed following commencement of the first race. A meeting to have been CANCELLED or POSTPONED when it is not held on the stipulated date or it is called off prior to commencement of the first race. 4.8 OFFICIALS REQUIRED AT MEETINGS – Racing Manager, Clerk of the Course (at major championship events 2 (two) Clerks of the Course will be in attendance in their official capacity, Steward, Lap Scorer/s, Commentator, Pit Marshal/s, Scrutineers, Start Marshal/s, Safety Marshals, Safety Fence Marshals, Pace Car Driver& Medical Staff (e.g. St Johns Ambulance) and/or Rescue Services (e.g. Raceway Rescue). 4.9 PLURALITY OF OFFICIALS – A meeting official shall perform only those duties sanctioned by his official’s license and no other at any and all meetings over which he presides. A licensed officer may not compete in any race during a meeting at which he is presiding as a Race Official. 4.10 PROMOTER – Spedeworth International (East Anglia) / Southern Limited (herein referred to as “Spedeworth” and/or “the promotion” and/or “the promoter”) and or organisation/s (including staff and individuals thereby employed) nominated by Spedeworth to control or organise a meeting. 4.11 RACE CARS (HIRED) – Such cars are for use only by licensed drivers in any formula. The promotion reserves the right to refuse to rent a car to any individual or body without giving a reason for so doing. 4.12 ROLLING START – In the case of a rolling start the drivers shall drive a preliminary lap or part lap as directed by the Steward keeping abreast in their proper positions and at a speed set by the inside driver at the front of each grade who shall maintain the allotted gaps between grades. The race shall be started by the starter causing the starting flag to be dropped at any time after the leading cars have passed the third bend. All drivers must keep rank and must wait for the starting flag before commencing racing. No car must accelerate beyond rolling lap speed until the Starter has shown the starting flag. Any car unable to maintain the pace lap order due to clutch problems must start between the leader and the last car in order to avoid upsetting the start/restart. Prior to the start or re-start, a driver being too far in front or reducing speed on approaching the starting line, may be excluded or docked places at the discretion of the Steward. 4.13 STADIUM AND/OR RACEWAY - A place within one cartilage comprising of a track of an approved surface and one or more stand or banking for accommodation of the public at which race meetings are held for the purpose of public entertainment. NB: Treat the stadium and circuit with respect. The facilities are for the use and enjoyment of everyone. 4.14 STARTING & FINISHING POINTS – The start and finish of a race or an attempt at a record shall occur when any part of the car passes over the starting or finishing line. In the event of a blocked track, the finishing line shall be deemed to extend a reasonable distance in to the infield. In formulas where transponders are used, the Stewards decision is Final. 5. CONDUCT, PROTEST & DISCIPLINARY MEASURES/PROCEDURES 5.1 ABSENTEEISM - A driver whose booking for a specific meeting has been accepted by Spedeworth shall be deemed to have undertaken to drive. A driver who does not honour this racing commitment (and has not cancelled his booking to race at least 48 hours before a meeting) will be liable to a fine of £15 payable to the promotion. He will not be permitted to race again until the fine is paid. If a driver believes his absence was justified, he may submit an appeal to the Racing Manager. Fines must be paid before the appeal will be heard, but will be refunded in full is the appeal is successful. 5.2 CHALLENGE - It shall be an offence for any promoter, official, driver or any person whatsoever involved with the sport, to issue a challenge directly involving a side-stake or incentive, whether in cash or in kind. 5.3 CHEATING - As an individual involved in car racing, it is your duty to protect the sport. If you know of, or suspect, cheating or any infringement of the rules likely to bring the sport into disrepute, report it to an official immediately. 5.4 FENCING - The Steward / Clerk of the Course, a car shall be deemed to be deliberately ‘fenced’ when the other car (or cars) has turned into the fenced car from the outside providing other reasonable action was possible. Any car going into the fence as a result of a spin shall not be deemed to have been deliberately ‘fenced’. Any car pushed from the rear in the general direction of racing shall not be deemed deliberately ‘fenced’ A car pushed at (in the opinion of the Steward) unreasonable speed from the rear into the bend shall be deemed to have been deliberately ‘fenced’. The fencing of a car is against the rules of racing in all formulas, with the exception of FULL CONTACT Racing. Offenders will be penalised by the Steward of the Meeting who may also refer the incident to the relevant Board of Control. 5.5 DISQUALIFICATION – PENALTIES Drivers will be penalised (and may be disqualified) for unnecessarily cutting across the infield or for gaining advantage by leaving the track to pass an opponent. A penalty will be imposed for: (a)Unnecessarily cutting across the infield. (b)Gaining advantage by leaving the track to pass an opponent, this will include the illegal use of kerbs. (c)Breaking the rolling lap to gain advantage either by gaining places or by deliberately holding up the start. (d)Leading a Race suspension at a too fast speed. If a driver is penalised for more than one incident during a race or a meeting, the Steward may, at their discretion, disqualify the driver from the rest of the meeting and / or report the driver to the Board of Control. A car being overtaken on the inside may not turn into the overtaking car. Also Side Swiping is not permitted i.e. a driver being overtaken on the straight may not turn into the overtaking car. NB This does not apply to FULL CONTACT Racing. A driver losing a wheel or suffering a flat tyre may be flagged off at the discretion of the Steward / Clerk of the Course, having due regard to the preservation of the track surface and the number of laps still to run. 5.6 DISRUPTIVE CONDUCT – Any driver guilty of any act prejudicial to the sport shall be reported to the appropriate Board of Control or Formula Organiser, for disciplinary action and may be called upon to appear before the Board or Organiser to answer the charges. 5.7 AGE LIMITS No person under the age of 16yrs will be issued with a license to race a Stock Car, Hot Rod, Banger or other senior formula. Junior Formula licences will be issued to comply with current ORCi legislation on age limits. No new license will be issued to any person over the age of 55, unless special dispensation has been granted by the ORCi in consultation with its insurers and the revelant sub-committee or association. 5.8 INTOXICANTS - Any driver or official who, during the course of a meeting, takes or suffers from the effects of taking and drug or alcoholic liquor, shall be guilty of conduct prejudicial to the interests of the sport and the BOC shall take whatever disciplinary action it deems necessary. 5.9 PENALTIES - The following penalties are available for officials to impose as disciplinary measures as and when deemed appropriate: REPRIMAND - May be pronounced by the BOC, or by the Steward / Clerk of the Course. In the latter case, the matter must be reported to the Disciplinary Committee. FINES - A fine may be imposed by the Steward or the BOC and must be paid to the BOC within 48 hours from that point. If the fine is not paid in that time, then the person fined shall be automatically suspended and remain so throughout the period that the fine remains unpaid. EXCLUSION – If the Steward decides that a serious offence has been committed for which he does not have the power/authority to suitably punish the offender, he shall refer the case to the BOC. In the interim, he may exclude the offender, pending submission of his report of the incident to the BOC. EXCLUSION PENDING JUDGEMENT – A sentence of exclusions may be pronounced by the BOC or by the Steward of the meeting in accordance with these regulations. In the event of a driver being excluded from a race which he has finished, the subsequent drivers will be advanced one place and the result of the race amended accordingly. SUSPENSION - A driver may be suspended by the Steward or the Promoter for a maximum of six months, after which time the details must be placed before the BOC. The suspended driver shall be notified of the disciplinary hearing and he has the right to appear before the BOC to lodge an appeal. DISQUALIFICATION – A disqualified person will return the license he was issued under these rules & regulations DEPRIVATION OF RIGHTS & PRIVELEGES – The BOC has the power to deny an individual their rights and privileges. 5.10 PREJUDICIAL CONDUCT – A charge pf conduct prejudicial to the interests of the sport shall be adjudicated by the BOC who may impose such penalties as it deems appropriate to the seriousness of the offence. 5.11 PROTESTS & APPEALS – All protests and appeals should follow the procedure as outlined herein. Protests and appeals which do not follow the correct procedure will be disallowed. The right to appeal to the BOC against any decision, act, or omission that may have been made or committed in connection with car racing, lies only with a driver licensed under these rules and regulations not his team, family, mechanics, sponsors or entrant. There is no right of appeal against a decision made by the Clerk of the Course, Scrutineer, Steward, lap Scorer or any other Race Official which has been based on a matter of fact. Representations to the Steward questioning a declared result or results must be made by the licensed driver only on the day of the race concerned in order that lap sheets, witnesses and/or video evidence may be referred to in order to verify the result. The Stewards decision is final but appeal procedures may be employed in cases where doubt exists. Protests by a licensed driver regarding the eligibility of a car must be accompanied by a £50 deposit and may be made only by a licensed driver competing at that race meeting. If the protest is upheld, the £50 will be returned. If the protest fails, the £50 will be rewarded to the driver against whose car the protest was made. The methods of lodging a protest are: AT THE MEETING: A verbal protest may only be dealt with by the Steward / Clerk of the Course and the/or the Promotion and must be delivered on the day of the meeting. The protest will be arbitrated upon the first available moment in the proceedings, however, if the Steward / Clerk of the Course and/or the Promotion are unable to deal with the matter on the day of the meeting; the protest must be referred to the BOC for arbitration AFTER THE MEETING: A protest made after the event must be made in writing to the BOC within 7 (seven) days following the meeting in question. In exercising its jurisdiction, the BOC shall observe the following procedures in all cases: Any person or body of persons against whom a protest is made shall be advised accordingly, specifying the nature of the protest. If an adjudication is reached on the day, all parties shall be made aware of the judgement. If the matter is referred to the BOC, all parties concerned shall be given reasonable and timely notice of a hearing date. Notices and/or adjudications must be communicated in writing. In cases where notices and/or adjudications are communicated verbally, they shall be confirmed in writing. Such written communications shall be deemed to have been served, whether delivered personally, by fax or by post. In order to appeal to the BOC against a protest decision made by the Steward and/or promotion, a fee of £50 must be paid by the Appellant to the BOC at the time of submitting his appeal in writing. The BOC is the final arbiter in matters of protest and appeal and all parties shall be bound by the decision of the BOC. The BOC shall have the right to publish, or cause to be published, its’ findings and/or decision relating to a protest or appeal, stating the names of all parties concerned which parties shall have no right of recourse against the publication of such information. 6. DUTIES & OBLIGATIONS OF OFFICIALS All officials are employed by Spedeworth. Race officials will be admitted, free of charge, to the place of racing to carry out their duties at a race meeting. They may also be admitted, free of charge, to some races at which they are not present in their official capacity, by prior arrangement with the promotion, or with a Spedeworth Special Pass. 6.1 STEWARD – The Steward of the Meeting shall in no way be responsible for the organisation of the meeting and shall not have any executive duties in connection therewith, other than any specifically required in these rules and regulations. Before the start of the meeting, he must ensure that all medical (e.g. St Johns) and/or rescue (e.g. Raceway rescue) services are in place. He shall report to the promotion 2 ½ (two and a half) hours prior to the advertised start of the meeting and be in attendance throughout the meeting and for 30 minutes after racing has ceased or such a time as may be necessary for him to complete his duties. If, for any reason, the Steward is not available to perform his duties during the specified period as above; he must advise the promotion accordingly at the earliest possible juncture. The Steward shall not permit any person to be with him in his rostrum during the course of a meeting other than the officials of that meeting and shall not allow any person to approach him during the meeting without his express permission. The Steward shall have the supreme control to carry out these Rules & Regulations. Any decision which the Steward may make that affects the carrying out of the advertised programme, e.g. exclusion, race to be re-run, stopping, postponement or abandonment of the meeting, shall at once be communicated to other concerned officials for such action as may be deemed necessary. If there is any delay in giving effect to the decision made by the Steward, he shall put a stop to all proceedings until necessary action has been taken and shall cause an explanation to be publicly announced. He shall have regard to safety in general and in particular shall prohibit from competing any driver and/or car he considers might be a source of danger. The Steward may exclude any driver/s (found ineligible to take part, or whom he considers guilty of misbehaviour or unfair practise) from a race or races for the remainder of the meeting. He may command any driver who refuses to obey his order, or the order of any other Senior Official, to leave the track and its’ precincts forthwith. He shall immediately deal with any protest that may be delivered to him during a meeting. He shall accept, reject or return a protest as he may determine: If he accepts a protest he shall, whenever possible, immediately adjudicate thereon, subject to right of appeal. If he rejects a protest, this is his final determination and the protest may not be lodged again either during the meeting or thereafter. A protest may not be made on the same grounds as protested by another protester. In difficult cases, if the Steward finds himself unable to adjudicate on a protest, he shall return the protest to the protester and inform him that he may take the protest to the BOC. The Steward shall pay due regard to the fact that a driver and/or drivers are entitled to a reasonable and courteous explanation where he and/or they have been penalised and it is their opinion that the penalty is not merited. The Steward shall, after each race, accept the lap sheets from the Lap Scorer, the results from the electronic lap-scoring systems and (when satisfied as to the placings of the subsequent drivers at the time that the leading driver crossed the finishing line) fill in the final results in the appropriate column on the lap sheet and results sheets. The Steward shall, within 24 hours following the close of a meeting, sign and send the racing manager a report, giving the results of the meeting, together with the particulars of any protests lodged, warnings issued, exclusions made, any type of delay or late start and of any other matter which should, in his opinion, be reported. All meetings shall be started at the published time. In every case of a breach of this regulation, the Steward shall look into the circumstances of the delay and will forward a full report to the Racing Manager, who will take such action as seen fit. Depending on the situation in the pits; this could also mean the driver would be allowed to compete in only one race. The driver may be refused permission to drive at all if reserve drivers have already been called in. Times of arrival will be recorded at all meetings and these records filed for future reference. 6.2 COMMENTATOR – The commentator is responsible for providing spectators with information regarding the racing as it progresses as deemed necessary to enhance their enjoyment of the meeting. To be able to do so, he must: Ensure he is aware of the names and numbers of all drivers, including those who are additional to the published programme. Be completely familiar with the relevant Rules & Regulations applying to the meeting, competitors and events but ensure that he does not pass comment thereon. Not make any announcement which could, in any way, be construed as anything less than impartial. Announce, at least twice, the results of each event at a time when the spectators are not distracted by other happenings or a high level of engine noise. Give due publicity to future meetings advertised in the programme and the fixture list. Without personal comment, make any announcements to the spectators, as required by the Steward. Refrain from personal comments or remarks to drivers which would be understood by the general public. The commentator is not permitted to make decisions in connection with any matters that might arise at a meeting. Under no circumstances may the commentator communicate information of any description that might be detrimental to the operation of the meeting, the promotion or the sport. 6.3 LAP SCORER/S & ELCTRONIC LAP SCORING – The duty of the lap scorers is to accurately record the order in which the cars cross the finishing line. They must declare the race finished when the required number of laps have been run. Lap scorers must record race lap particulars only on Spedeworths’ approved lap sheets (in conjunction with such other apparatus as may be supplied by Spedeworth from time to time), detailing the required number of laps completed by each driver and final places attained, thereafter passing this information to the Steward and other concerned officials. When each race has ended, the lap scorer will immediately hand the lap sheet to the Steward who will be responsible for the completion of the results column and the results sheet based on the conclusions of both the manual lap charts and electronic lap scoring results (transponder results). If a lap scorer has cause to believe he has made a mistake, he may make a correction to his record, subject to the agreement of the Steward. Erasers may not be used – alterations must be clearly written above the incorrect item. Lap scorers may not communicate information regarding race matters to any persons other than the Steward and concerned officials of the meeting. 6.4 PIT MARSHAL/S - Throughout the duration of a race meeting, the pit marshal/s will be equipped with a radio link to all senior officials. The pit marshal/s will report to the promoter 2 (two) hours prior to the meeting. Pit Marshal/s are responsible for all emergency equipment for the pit area, ensuring it is sited appropriately prior to each meeting. At all times, they must wear clothing that is highly visible and recognisable in case of emergency (preferably including the high-visibility vest over jacket as supplied by the promoter). It is the duty of the pit marshal/s to direct the parking of competitors on arrival at the stadium. Pit marshal/s will report all competitors who arrive late at a race meeting to the Clerk of the Course. He will also report any competitor who fails to obey an instruction given by a pit marshal, or anyone who is insubordinate in any way. Pit marshals will convey to the drivers and/or mechanics on arrival at the Stadium, any and all instructions and/or messages relating to the days events of which they need to be made aware. They must ensure that drivers are fully prepared for the races/s in which they are booked to compete. Pit marshals must ensure the smooth running of events by marshalling cars into an orderly line at the pit gate in the correct running order, in readiness to race. Pit marshals must keep the results board up to date at all times in order to provide a quick reference to drivers of their achievements at any given time. Drivers qualification for the meeting final will be communicated by the Steward / Clerk of the Course via radio link to the pit marshals so that he may include this information on the pit board. 7. STADIUMS & RACING CONDITIONS 7.1 CIRCUITS - Races traverse the circuit in either a clockwise or anti-clockwise direction, dependent upon the specific formula. Please refer to the relevant rules for each formula. The exception is Demolition Derby (DD) events which may commence from any direction. 7.2 DISTANCE OF RACES - The distance of a race will be no less than five complete laps of the circuit and no more than 100 laps of the circuit, unless adverse weather conditions exist and/or the approval of the promotion is obtained to vary the number of laps. A race is stopped by the Steward only when a driver is injured or when a dangerous situation exists. When racing ceases, drivers are requested no to block the pit entrance and to keep to the inside of the racing circuit. Where it is deemed necessary to curtail the length of a race, the drivers will be informed of the intention to do so and the number of laps over which the race is to be run. The Race Steward alone is responsible for the decision to curtail a race. 7.3 PITS & PIT GATE ENTRY - At all meetings, an area shall be set aside for drivers to unload their cars and prepare to race. In the pit area the speed limit shall not exceed 5mph at all times! Drivers and mechanics are reminded that the correct procedure for entry to the circuit is through the pit gate only. Any infringement of this rule could result in the driver being suspended from racing at that meeting. Smoking or drinking in the pits and on the race track are not permitted. Drivers and mechanics must not encourage members of the public (especially children) into the pit area. Members of the public are not permitted to gain entry to any racing venue via the pit gate entrance under any circumstances. 7.4 SAFETY FENCE - At all stadiums, Spedeworth must erect a safety fence or other safety barrier meeting the standards laid down by the OVAL RACING COUNCIL International and required by the insurance company. 8. TERMS & CONDITIONS 8.1 ADMISSION TO RACES – All drivers who are performing in races at a race meeting will be admitted to the place of racing free of charge upon production of their racing license as issued by Spedeworth. Each driver, who is actually performing in races at a race meeting, is permitted to have a maximum of two mechanics (depending on the formula they race in) who must be licensed and will be admitted, free of charge, only when their driver is racing and upon production of their valid licenses. Licenses are not valid when the driver is not booked in to race and these may not be used to gain entry to any race venue in this instance. Misuse of a drivers or mechanics license to gain entry is regarded as a breach of these rules and regulations and disciplinary action will be taken by the promotion as they see fit. Members of the press are not permitted to gain entry to the racing via the pit gate entrance at any time. They may only gain entry through the main turnstile at each venue. Members of the public are not permitted to gain entry to any racing venue via the pit gate entrance under any circumstances. 8.2 BOOKING TO RACE - A driver must notify Spedeworth of his intention to race at each and every meeting he wishes to enter. Race bookings will be accepted by post or email ([email protected]) and can be made by calling the office (01252 322920) but should be made at least 14 days prior to each meeting for which entry is requested. On arrival at the stadium, a driver must present himself and his car in a smart and orderly manner to the pit officials at least 1 (one) hour prior to the start of a meeting. If a drivers’ booking has been accepted by Spedeworth, but he is unable to attend, he must cancel the booking by giving at least 48 hours notice. 8.3 CANCELLED & ABANDONED MEETINGS - If weather conditions are likely to be a reason for the cancellation of a meeting, a decision will be taken after consultation between Spedeworth and the Clerk of the Course. If a meeting is cancelled or postponed before the commencement of the first race, monies which would normally be due and payable to an individual by Spedeworth after the commencement of the first race (including, but not limited to, prize monies, start money and/or staff wages etc) will not be due or payable to any individual and no claim may be made against Spedeworth and/or the promoter in respect of costs and/or losses of any nature whatsoever. In the event a meeting is abandoned after the first race has commenced, monies which would normally be due and payable to an individual by Spedeworth after commencement of the first race (including prize monies earned prior to the time the meeting was abandoned and/or start money and/or staff wages etc) will be duly paid in full. Any and all fees paid by an individual to Spedeworth are non-refundable. However, in the event of cancellation of a meeting only and at the sole discretion of Spedeworth; race/booking fees paid in advance may be transferred to a meeting to be held at a later date. 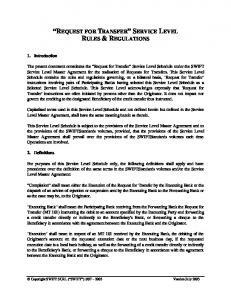 8.4 DRIVERS’ CONTRACT – A contractual agreement between Spedeworth and a driver entitling the driver to race on any Spedeworth or affiliated organisations’ track, subject to booking in regulations from time to time in force. Before being permitted to race, a driver must sign a contract with Spedeworth, or an affiliated organisation. In doing so, the driver is agreeing not to race, or allow his car or name to be used in connection with any other promotion then the aforementioned licensed promotions; unless prior written permissions is received from Spedeworth. The contractual fee payable contributes towards medical, emergency and insurance costs. Spedeworth reserves the right to deduct monies owing to the promotion from any payment due to a driver (e.g. prize monies) 8.5 LICENSE & LOG BOOK (TERMS OF) – A driver must be licensed by Spedeworth before he will be permitted to race. Drivers between the ages of 11 (eleven) to 64 (sixty-four) years of age may be issued and hold a license to race at Spedeworth, or affiliated organisations’ tracks, at the sole discretion of Spedeworth. No-one may compete in any race whatsoever (including mechanics and ladies races) without holding such a license. Mechanics under the age of 16 are not permitted to drive a car in the pits, or on the track, but may assist their driver in any other capacity. Drivers over 50 years of age must supply a doctors’ letter, or medical certificate, upon request. Upon acceptance by Spedeworth of a drivers’ application to race, he will receive a “Drivers License & Log Book”, authorising him to participate at Race Meetings held on Spedeworth’s circuits and those of affiliated organisations. He will also receive a copy of the current Rules & Regulations for their chosen formula. Once registered, a driver will receive a racing number. This number will be issued solely to him and may be re-issued upon application by a specified date in each successive year. All racing licenses are effective between January 1st and December 31st. Drivers must make themselves aware of the rules appertaining to the License & Log Book. The License & Log Book records a drivers’ attendance and conduct at Race Meetings; therefore, it must be presented to the Scrutineer at each Race Meeting attended including all meetings abroad or Northern Ireland or Scotland etc. It must also be made available to any other Racing Official at a race meeting, upon request. Failure to produce the License & Log Book upon request will result in an on-the-spot fine, and the loss of the right to use the racing facilities. Whilst registered with Spedeworth, the contracted driver is not permitted to race his car, or any other racing car, for any other promotion without first obtaining the permission of Spedeworth to do so. 8.6 LICENSE, EXPERIMENTAL - On application to Spedeworth, a driver may obtain an Experimental License solely at Spedeworths’ discretion. This will enable him to experiment, during a race, with a car, or part of the equipment which falls outside the Rules & Regulations (except in relation to Rules & Regulations relating to safety precautions). The driver will receive no points or prize money for places gained and the public will be informed accordingly during the meeting. The driver must specify, in writing, full details of the car and/or equipment he proposes to use under his experimental license permit. 8.7 PRIZE MONIES & OTHER FINANCIAL OBLIGATIONS - Spedeworth shall discharge all its Liabilities to competing drivers and officials within the appropriate time frame as laid down by the promotion (i.e. on the day of racing at the race meeting), with the exception of a 7 (seven) day delay in payment of prize monies following championship meetings. Spedeworth may pay monies due in respect of fees, start money or prize monies by cheque or in cash. It is the responsibility of the individual to whom monies are due to collect fees, start money and/or prize monies on the day of racing. Any monies not collected on the day shall be forfeited. In the case of a dead heat, prize money for a place, and subsequent place(s) involved, shall be divided equally amongst the drivers tying for a place. Recipients shall be responsible for declaring monies received and making their own returns to the Inland Revenue for the assessment and payment of Income Tax and National Health Insurance Contributions, as applicable. 8.9 RACE WINNER - When the chequered flag has been waved to indicate the race winner, the clerk of the course will decide whether to order the red flag stop signal to end the race immediately and ward places at his discretion, or let the race continue in order that the results may be determined from the lap sheets (subject to the clerk of the courses’ endorsement – if the lower places have been lapped, he may decide not to include them in the results. 8.12 STOPPAGES (RED FLAG) - A race maybe stopped by order of the Steward, in the interest of Safety or other contributory factors (Time Limit) etc. The race may be stopped if the pit gate has to be opened to facilitate entry to the track of either an ambulance or breakdown vehicle, although this can also be done under a yellow flag at the steward’s discretion. (a) In the event of any car in a stopped race having completed more that ¾ of the total distance, the race shall be deemed ended and the positions awarded according to the last fully completed lap of each car. The car(s) causing the race to be stopped cannot be included in the result. (b) In any stopped race where no car has completed ¾ of the total distance, the race shall be restarted and run over the balance of laps outstanding to the leading car. The cars shall be restarted in single file, rolling start, in the positional order and on the same lap as they were on at the time of the stoppage. Positional order shall mean 1st 2nd 3rd 4th etc. Cars one or more laps down will continue the single file grid after the lead lap cars and will restart with these laps to make up on the lead car. (c) In the event of the no cars having completed 3 laps of the total distance, the race will be re run. Note that a temporary halt under yellow flags (caution), is not the same as a stoppage under Red Flags, (d) The only cars permitted to take part in any re-run shall be those having taken part in any/all other re-start(s) immediately prior to the stoppage. A car missing taking part in a restart shall not be eligible to compete in any subsequent restart of the same race. (e) A driver is permitted to leave his car during a red flag period but any work performed must comply with the forgoing regulation. (f) In exceptional circumstances, when the probable race result is altered due to an infringement of the rules, the Steward has the authority to stop the race and award the result to the driver who would probably have attained it had the infringement not occurred. 8.13. NEW TECHNICAL DISQUALIFICATION FLAG. THE WHITE FLAG WITH A RED CROSS (X) is a TECHNICAL DISQUALIFICATION FLAG. This is used to signal to a driver that they have a problem with their car and must immediately retire to the infield. Hold your racing line. This signal will be given on instruction from stewards, by discretion of the Starting Marshal and will be used when the driver concerned is causing a good race to be unnecessarily held up. Give up your position. You have failed to give other drivers racing line and a fair chance to overtake or caused a good race to be held up. This signal is at the start marshals' discretion, not automatically given after a waved blue flag and only if the overtaking driver is making continued attempts to pass or being badly baulked. This is used to signal to a Driver that they have a problem with their car and Must Immediately Retire to the Infield. Display in front of a stationary vehicle to warn drivers still racing that the driver of the stationary vehicle is still inside or is exiting his vehicle. Avoid this car but continue to race. Slow down to no more than 15mph to allow marshals to attend and remove a hazard. Do not overtake the car in front. Continue at 15mph until either the Green or Red Flags are shown. If, at any time, the pace car is on track, drivers must not overtake it, unless and until instructed to do so by the pace car driver. Driver has possibly committed an offence and may be dropped one or more positions at the end of the race. Disqualified - leave the track immediately. Warning! Oil or hazard on track - take care. 9. TYPES OF RACING 9.1 CONTACT FORMULAS - The object is to complete the specified number of laps in the shortest time. You may push a car from behind, or spin a car into the inside of the circuit. You must not follow a car into the safety fence, or lean or spin a car into the safety fence. Unnecessary baulking of a faster car is not permitted. The circuit is clearly marked around the in-field and you are not permitted to let your wheels pass over this demarcation line. Contact formulas include: National Bangers, Superstox, 1300cc Stock Cars, 2 Litre Stock Cars, Ministox, V8 Stock Cars and Bangers. 9.2 DEMOLITON-TYPE EVENTS - Any race where the nature of the event is to stop the opposition in order to win and the following rules apply: On occasion, drivers may race for a set number of laps before beginning DD (Demolition/Destruction Derby). The start of the DD is normally indicated by a blue flag, unless notified otherwise during the drivers’ briefing, or by the pit or track marshals, or in a race format sheet. Waiting for a car is permitted. Attacking from the opposite direction is permitted, providing the attack is from the outside of the track (fence-side). It is permitted to attack any part of the car, except the drivers’ area (considered to be from the centre of the driver’s side front wheel to the centre of the drivers’ side rear door). The end of the race will be signalled by a chequered flag. Demolition-type events include all Banger formulas. 9.3 NON-CONTACT FORMULAS – The object is to complete the specified number of laps in the shortest time. Baulking, pushing or spinning another car is not permitted. The circuit is clearly marked around the in-field and you are not permitted to let your wheels Pass over this demarcation line. Non-contact formulas include: National Hot Rods, 2.0 Litre Hot Rods, Stock Rods, Lightning Rods, Rookie Rods + Junior Rods.. 9.4 RACE PROCEDURE and DISCIPLINE. No work may be carried out at on any car at any time on the race circuit without permission of the Race Steward. If a driver wishes to carry out work on a race car and that work can be completed within the regulations specified in these rules, the car must first be removed to a safe area within the arena. The driver must not under any circumstances, leave the confines of the race circuit during a race to perform this work. After the first green flag of any race has been displayed, any car, having entered that race or any restart thereof, cannot receive attention from anyone other than the driver and then only when this can be achieved without assistance, ie. The handing over tools or parts over the safety fence / carriage of spare parts or tools within the race car / the use of implements from within the arena wether they be part of another car or stadium items is forbidden. It is not permitted to transfer parts from a disabled car within the arena. In the event of cars becoming entangled, the track staff are permitted to disentangle them and permit them to rejoin at the discretion of the Steward on the rear of the reformed grid. In addition, cars being pushed started will not be deemed as outside assistance. The primary cause(s) of the suspension /stoppage, shall be excluded. Drivers who use their car to shield and protect an upturned or damaged car, will not be excluded when the race resumes at the discretion of the Steward. However Spedeworth shall issue special Supplementary instructions for certain Championship Events 9.5 SAFETY It is an offence for a driver to push or work on his car within the arena whilst the race is in progress. Drivers abandoning cars during a race must either retire to the central safety compound or to safe distance behind the safety barrier. It is the driver’s responsibility to ensure that the current health and safety legislation is adhered to when in the pits area. Special attention should be given to the Risk Assessments produced by the promoting company. 9.5 END OF RACE. A race shall be deemed ended when the cars for paid and or points places in the race have completed the race distance. 9.6 INTERPRETATION OF RULES Decisions of Officials on interpretation of the rules pertaining to race procedures or lap scoring positions, shall be considered Final. At all times, while on the track, a driver shall be deemed to be under Racing Rules. Report "2012 Rules & Regulations for Officials & Licensed Drivers. 1. INTRODUCTION"